The show lasts approximately 2 hours and 15 minutes. Celebrate the holiday season in Branson with Andy Williams Christmas Extravaganza Starring the Osmonds, The Lennon Sisters, The 5th Dimension, and featuring a tribute to Andy Williams, Mr Christmas himself. The Andy Williams Christmas show is the most anticipated Christmas celebration in Branson and will take you on a journey back to Williams' outstanding Christmas specials from the 60's and 70's. Sit back as the curtains rise to reveal The Osmonds and The Lennon Sisters surrounded by an awe-inspiring set of brilliant colors, twinkling lights and all the sights and sounds that declare the wonder of the holiday season. This full production features all the elements that made Andy's show so memorable — majestic dancers adorned in festive costume, real-live reindeer, an extraordinary performance of your favorite Christmas songs from the entire Moon River Orchestra onstage and a heartwarming tribute to Andy Williams himself. Spend the most wonderful time of the year in Branson, soaking up the joyful traditions of Christmases past and Christmases to come with the Andy Williams Christmas Extravaganza Starring The Osmonds & The Lennon Sisters. The Osmonds are an all-American family music group that gained popularity in the early 1970's. The original group was made up of brothers Alan, Wayne, Merrill and Jay. In 1962, their father took them to audition for the Lawrence Welk Show but Welk refused to hear them so a trip to Disneyland followed to ease the disappointment. There, the brothers gave an impromptu concert with another barbershop quartet and they were signed as regular nighttime performers. Soon after, they made their national television debut on the Andy Williams Show and performed regularly until it was canceled. Although the siblings have all disbanded, they continue to perform and advance their solo careers. Jimmy, Jay, and Merrill are featured in the Andy Williams Christmas Variety Show. The Lennon Sisters are an American vocal group who were discovered when a high school classmate of Larry Welk (Lawrence Welk's son) brought the four sisters to sing at Lawrence's bedside while he was sick. Welk was so impressed that he booked them to appear on The Lawrence Welk Show that same week. The quartet's television debut in 1955 led to a consistent appearance on The Lawrence Welk Show until 1968 when they left to start their own career as a group. 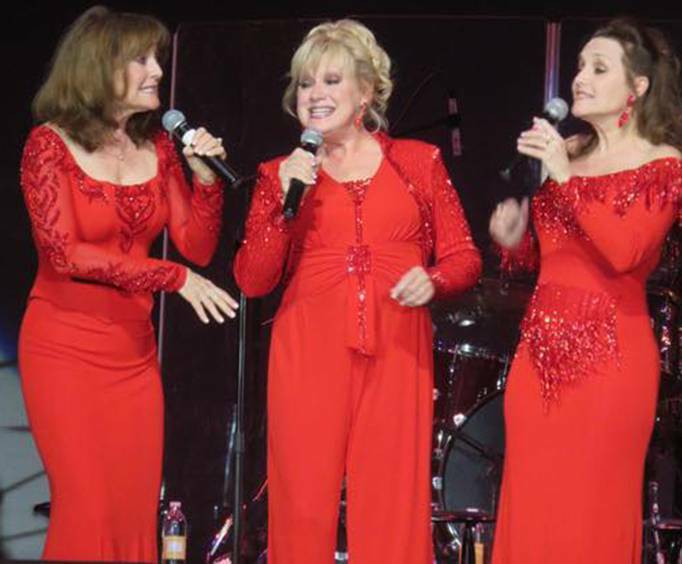 In the 1970's, The Lennon Sisters performed regularly on the Andy Williams Show and made appearances on several game shows including Family Feud, Tattletales, and The Hollywood Squares. 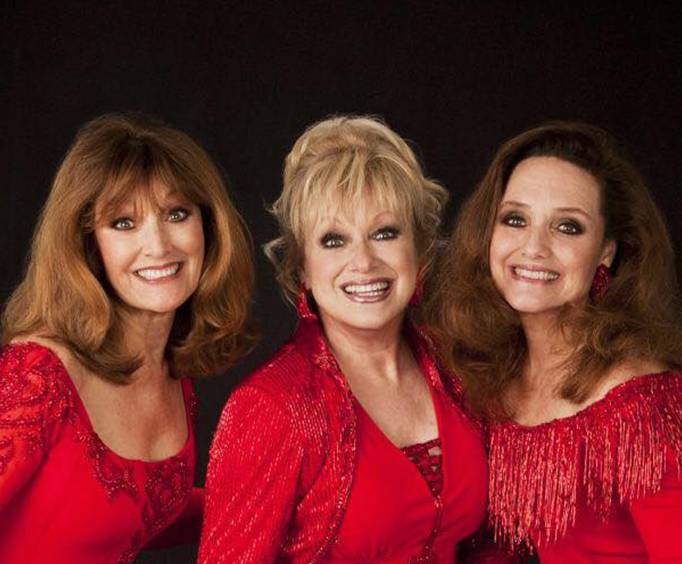 The quartet headlined at the Welk Champagne Theater in Branson from 1994-2004. The Lennon Sisters received a Hollywood Walk of Fame Star in 1987 and in 2001 they were inducted into the Vocal Group Hall of Fame. The group currently consists of trio Mimi, Janet, and Kathy. This world-famous group takes to the Branson stage for an unforgettable evening of fun and great music! Their energy is absolutely palpable as they belt out hits such as, 'Up, Up and Away', 'One Less Bell to Answer', and 'Last Night I Didn't Get to Sleep'. As well as these hits, they have earned Grammy Awards, performed on PBS specials, and held fantastic concerts at places like Disneyland and Disney World! Williams was the star of his own weekly television show, The Andy Williams Show, in the early 1960's. It won three Emmy Awards for Outstanding Variety Program. He eventually cut back and reduced his show to three specials per year and the Andy Williams Christmas specials became highly popular. He recorded eight Christmas albums and became affectionately known as 'Mr. Christmas' due to the success of his lasting Christmas special. Andy Williams decided to build his own theatre in Branson, Missouri after his brother invited him for a visit to the Ozarks. When it opened on May 1, 1992, Williams became the first non-country entertainer to open a theatre in Branson. It was named after his signature song 'Moon River.' Andy hosted his annual Andy Williams Christmas Show throughout the months of November and December at the theatre. The venue has also played host to big names like The Osmonds, Pat Benatar, Glen Campbell and more. The 48,000-square-foot building sits on 16 acres of landscaped land, waterfalls and a rippling stream and it is the only theatre to ever be featured in Architectural Digest. What is included in the admission price for The Andy Williams Ozark Mountain Christmas Show Hosted by Jimmy Osmond and Starring The Lennon Sisters? Approximately how long is the The Andy Williams Ozark Mountain Christmas Show Hosted by Jimmy Osmond and Starring The Lennon Sisters? What is the length of intermission at The Andy Williams Ozark Mountain Christmas Show Hosted by Jimmy Osmond and Starring The Lennon Sisters? "This was a fabulous show." This was a fabulous show. It was nice to have videos of andy williams with the lennons and osmonds from 'way back when', and then to see the next generation of lennons performing alongside their grandmother. Loved it we'll see it again! The show was a great journey down memory lane for me. Would highly recommend it to the 50-60 age group because you'll see a lot of clips of the osmonds/lennon that you probably saw originally on tv. Thoroughly enjoyed myself. One of the best shows i've seen! Wonderful tribute to andy williams whom we love so much! Definitely will go again next christmas. Both osmonds & lennon sisters were terrific, show filled with love & pride. Really liked the tribute to our armed forces, always a special touch. Tony orlando was in the audience - giving support to all of them, really makes you love branson even more! We have been married almost 50 years and my wife has never enjoyed a show as much as the andy williams ozark christmas show. It was a perfect mini vacation.